Some subjects lend themselves to musicals more than others. A fantasy about a girl in a magical land? That makes sense. A look at the founding of the United States? Not so much. Nonetheless, a musical about the origins of the United States does exist, as we see via 1972’s 1776. Set in 1776 – duh! – the story focuses on the Continental Congress in Philadelphia. This group tends to waste time with trivial matters, a fact that frustrates Massachusetts representative John Adams (William Daniels). Adams wants to push the issue of independence, but he finds himself opposed by most of the other members. Adams goes to Benjamin Franklin (Howard Da Silva) for support, but he gets semi-rebutted, largely because Franklin finds Adams to be the wrong man for the job. Franklin believes an Adams-sponsored proposal will flop because John’s “obnoxious and disliked”. To fix this situation, Adams and Franklin send Richard Henry Lee (Ron Holgate) to the key domain of Virginia to gain a resolution to debate independence. This works, so the Congress finally agrees to discuss a potential separation from England. However, the delegation from South Carolina throws a snarl into the proceedings, as they advocate that a vote for independence must be unanimous. Given the strong opposition by some colonies, this seems like an impossible task, but Adams stalls for time. Adams --suggests that the Congress create a written Declaration of Independence before a final decision takes place. He recruits Thomas Jefferson (Ken Howard) to write this. We follow their efforts and related subjects. Is it a spoiler to say that the Adams/Jefferson side wins? Obviously not, so 1776 doesn’t offer any suspense connected to the outcome. That said, the film musters reasonable drama via the machinations of the Congress. When I started the review, I noted that the birth of a nation seemed like an odd subject for a musical, and nothing about what I saw in 1776 changed that view. Though 1776 doesn’t embrace the musical genre as much as one might expect. I’m not sure how much screen time the songs filled, but they felt like a surprisingly minor aspect of the movie. Long portions of the story pass without tunes, so even though 1776 features 13 songs, these don’t seem to occupy a lot of the effort. And that’s more than fine with me, as I think the musical numbers become the biggest problem with 1776. Because they occur so infrequently, they don’t turn into a major issue, but they add nothing to the experience and can become an occasional burden. The concern comes from their integration, as the songs seem to pop out of nowhere and sometimes feel inappropriate for the subject matter. We see a debate about slavery and then get a song connected to the topic – really? While I’m glad the tune offers the somber tone one should expect, I think it’s a curious decision to sing about slavery at all. Although I don’t care for the musical numbers, at least they remain generally inoffensive, and like I said, they show up infrequently enough that they don’t drag down the film. It helps that 1776 avoids big production numbers, so we don’t get elaborate, lavish song ‘n’ dance sequences. Those would trivialize the subject matter even more, so their absence pleases me. When 1776 focuses on the basic topics and characters at hand, it proves to be quite good. While not a perfect recapitulation of history, the movie manages to remain factually accurate much of the time, so it becomes surprisingly educational. I expected many more liberties than we find; stretches of the fact occur, but they remain less substantial than I anticipated. 1776 certainly brings us a good entry into the story. Of course, it doesn’t replace a detailed history, but it opens up the crucial events of June/July 1776 and makes them engaging. We get a feel for the participants as people and not just historical icons. The actors help bring the roles to life well. Since this is a musical, the performances tend to be broader than would be the case for a straight drama, but most remain fairly grounded. The performers manage to create good personalities for their roles and allow the figures to breathe. As a piece of history, 1776 works nicely. As a musical, it seems less successful, but given the relative lack of songs/performances, that side of things doesn’t intrude too much. Chalk up 1776 as a largely engaging tale. 1776 appears in an aspect ratio of approximately 2.35:1 on this Blu-ray Disc. For the most part, I thought this was a good presentation. Sharpness offered the only minor concern, though I’m reluctant to blame the transfer. As I watched, I got the impression the original photography tended to the soft side. Overall clarity seemed positive in any case. No issues with jagged edges or shimmering occurred, and I saw no edge haloes. Print flaws failed to materialize. The movie remained clean and clear at all times. In terms of colors, the film tended toward a brownish feel, though it mustered a fairly natural sense of palette. These appeared well-rendered. Blacks looked deep and rich, while low-light shots came across with nice clarity. This turned into a satisfying presentation. I also felt the film’s DTS-HD MA 5.1 soundtrack held up well over the decades. The soundscape focused pretty heavily on the front speakers – and usually stayed restrained outside of music. Songs and score showed nice stereo presence, and occasional effects cropped up from the sides. Those instances didn’t add much, though, and the surrounds had little to do. A few shots used the back speakers in a minor manner. However, outside of the music, this was a restricted soundfield. Audio quality seemed positive for its age. Speech could be a little reedy but the lines remained intelligible and reasonably natural. Effects also came across as a bit thin, but they showed acceptable clarity. Score and songs seemed pretty peppy and full. This was a more than satisfactory soundtrack given the movie’s vintage. 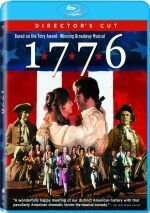 The Blu-ray includes both a Director’s Cut (2:45:11) of 1776 as well as an Extended Cut (2:47:55). This viewing represented my first screening of the film so I can’t comment on the differences. I wanted to mention the presence of the two versions, though. Alongside the Director’s Cut, we find two separate audio commentaries. 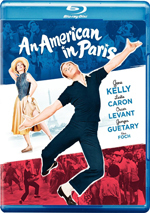 Newly recorded for the Blu-ray, the first features director Peter Hunt and actors Ken Howard and William Daniels. All three sit together for a running, screen-specific look at how the parties came to the project, story/character areas, cast and performances, sets and locations, cinematography, songs and score, and related topics. While Daniels and Howard chime in occasionally, Hunt does the vast majority of the talking here – and I regard that as a good thing, for Hunt provides a wealth of details. The director gives us a bunch of fun stories and fleshes out various moviemaking areas in a lively, engaging manner. The actors contribute just enough to make their presence worthwhile, but Hunt is the one who turns this into a consistently delightful piece. 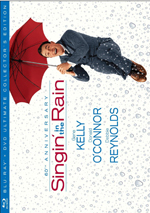 Created for a 2002 DVD, the second commentary includes director Peter Hunt and writer Peter Stone. Also heard with the Director’s Cut, the men sit together for their running, screen-specific view of story/character areas, sets and locations, the restoration of the Director’s Cut, cast and performances, and other topics. On its own, this seems like a decent commentary. Stone tends to simply narrate the movie more often than I’d like, but he also provides some historical details, so those add to the experience. The commentary suffers most by comparison with the newer track, as the latter proves to be much more informative. Still, there’s enough information here to make the old discussion worth a listen. Three Deleted/Alternate Scenes appear. We find “Piddle, Twiddle and Resolve” (3:20), “Reprise of Lee of Old Virginia” (1:12) and “Privy” (0:54). “Piddle” extends an existing musical number, while “Reprise” gives us a brief return of another song. “Privy” just provides a slightly different version of a scene in the Director’s Cut. None of these seem especially interesting. “Piddle” and “Lees” can be viewed with or without commentary from Hunt. He provides us with some basic but useful notes about the scenes and their deletion. In addition to two trailers, we locate nine Screen Tests. These take up a total of 12 minutes, 52 seconds and show us “William Daniels as John Adams” (1:13), “William Daniels and Howard Da Silva as John Adams and Benjamin Franklin” (3:13), “William Hansen as Caesar Rodney” (1:40), “Patrick Hines as Samuel Chase” (1:06), “Daniel Keyes as Josiah Bartlett” (1:07), “Leo Leyden as George Reed” (0:36), “Ray Middleton as Colonel Thomas McKean” (1:55), “James Noble as Rev. John Witherspoon” (1:26) and “Rex Robbins as Roger Sherman” (1:14). In enjoy this kind of material, so I’m glad to see the footage found here. Though I don’t care for its musical aspects, the dramatic portions of 1776 work well enough to keep me entertained. It delivers a surprisingly robust view of history and brings its characters to life. The Blu-ray provides mostly positive picture and audio as well as a decent smattering of supplements. While I could live without the songs, I still like enough about 1776 to recommend it.